As a boy I spent most of my summers at my grandmother's beach house in Staten Island, mainly with my aunt and uncle (and two older sisters), who took over the house for the summer. 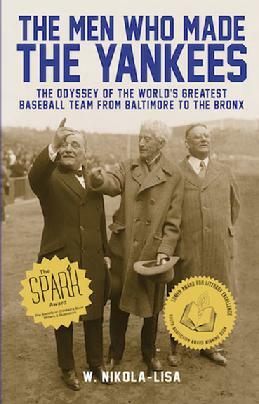 Although he rarely went into the city, occasionally my uncle would snare a couple of tickets to a Yankees' game and off we'd go to see some of the greatest players of the era: Mickey Mantle, Yogi Berra, Elston Howard, and Whitey Ford. 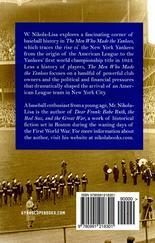 That was the start of my fascination with baseball, and with one of the greatest franchises in the major leagues. Fast forward several decades and I've revisited the team, but with a focus on how they started. 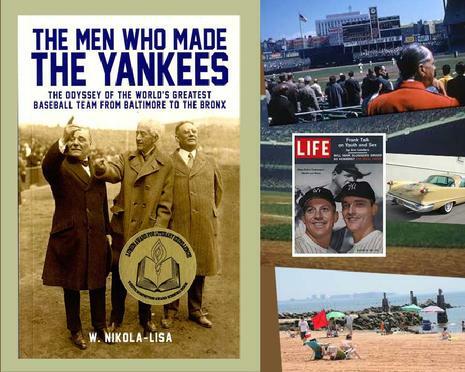 It's a fascinating journey - from Baltimore to upper Manhattan to the Bronx - and I focus as much on the owners and managers as I do the early Yankee players. I grew up a Yankee fan because my mom, a single mother, shipped my sisters and me to my grandmother's beach house on Staten Island for the summer. The beach house was in a gated community containing almost a hundred small beach cottages. In the summer my aunt and uncle took over the house (I rarely saw my grandmother; she was too busy tending to her real estate business in Jersey City). Uncle Fred, a rabid Yankees fan, occasionally would load us kids up in his yellow Chrysler Imperial and off we'd head to Yankee Stadium for a day at the ballpark. It was great fun.